A young boy from Pune who dropped out of high school to pursue his dream of becoming a Digital Marketer, Akshay always believed that Higher education is useful but self-education is essential if you desire to do exploits in life. from being a high school dropout to becoming a founder-owner of AD MEDIA company Akshay has come a long way. Today where millions of graduate youngsters in our country are struggling to find a job. A high school drop out Akshay formed his own company. AD MEDIA PUNE is a well known Digital Marketing company which was found on 2nd October 2018 by Akshay Girme. The company came into the limelight when its owner Akshay decided to come forward and help Marathi Cinema which was struggling to pull the audience to the theatre to watch Marathi movies, which was overshadowed by big budget and overly popular Bollywood and Hollywood movies. It’s not a hidden secret that the Bollywood and Hollywood film studios spend a huge sum of the money for their movies promotional campaign which also includes a separate digital promotion budget. However, that’s not the scene in the Marathi cinema because they are already struggling with their overall movie budget and they do not have the resources to properly promote their movies digitally. All of these resulting in the bad overall box office performance and the movies not getting the commercial success that it deserved. Lack of promotion affected Marathi movies business by a huge margin compared to its competitor. This situation was saddening for all the Marathi movies lover including Akshay who is a huge fan of Marathi cinema and it’s an art of storytelling. He wanted to help and change the scenario of Marathi cinema so he decided to approach the people associated with Marathi Cinema for the digital media promotion of Marathi movies and he started doing it all by himself on his expenses just because of his love for the Marathi Cinema. This boosted the business and helped Marathi Cinema to stabilize and get the recognition that it deserved. 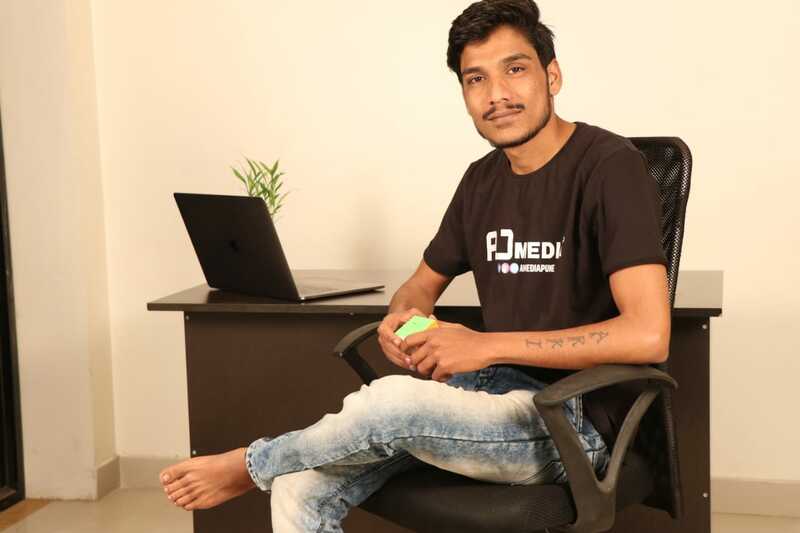 The story of Akshay Girme from a school drop out to a successful Digital Marketer and businessman is truly inspiring for every youngster out there who wanna achieve their dream and do something in life but get demotivated because they do not have a fancy degree or academic education. It’s not the degree it’s the will that helps u succeed in life.